This belief underlies everything we do, and we’re dedicated to helping other organizations with similar visions through our Reaching Recovery® program. This program offers recovery outcome tools to other behavioral healthcare providers that aid systems in the delivery of recovery and well-being focused service delivery. The outcome tools consist of a set of clinical measures for adult individuals with mental illness that promotes engagement and progression towards recovery. The tools help providers assess and measure a person’s recovery progress. The solution offers the most rigorous, standardized group of assessments to evaluate strengths, barriers, and level of care recommendations for individuals. The result is true person-centered care that reduces the overall cost of recovery throughout the organization. The content was developed by the Mental Health Center of Denver. 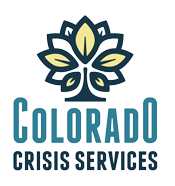 Reaching Recovery is a joint partnership between Netsmart Technologies and the Mental Health Center of Denver. The tools are used for Joint Commission outcome requirements. With the instruments, behavioral healthcare agencies have a comprehensive picture and standardized method for examining effectiveness of services and outcomes. The instruments provide data that explores the most efficient allocation of time and resources with the most successful results. The four recovery measures assess recovery from multiple perspectives and dimensions. When you join Reaching Recovery® you can use one or all four of the instruments to link outcomes to service effectiveness and recovery transformation. This process provides a comprehensive picture and a standardized method for examining effectiveness of services and outcomes. The Recovery Needs Level assigns the right level of service intensity for an individual at the right time. The Recovery Markers Inventory is a clinician’s rating of a person on eight objective factors associated with recovery. The PRO Survey is completed by the individual in service to address staff’s characteristics which promote recovery. The Consumer Recovery Measure is a subjective measure of changes in recovery completed by the person receiving services.